This is my first ever blog post. This is the third incarnation of my website, and even though I had the capability to blog with my first two very nice, visually appealing and functional websites, I just didn’t do it. I guess I just figured I had nothing to say, or what I did have to say wasn’t interesting or important. I have however been sending monthly e-newsletters to my client base and I’ve been continually taken aback at how much interaction I get after a newsletter goes out–I usually get about 3-10 new appointments booked within a few hours and people will make mention of some of the items and stories I’ve included. And a few have even told me they look forward to my newsletter because it feels like me talking to them. So they like me (they really, really like me 😉). Add that realization to the fact that I working with a web designer that stresses the importance of blogging and is basically holding my hand to do it takes us to today, my first ever blog post. I work with some of the most awesome hairdressers I’ve ever met, and I’ve been doing hair full time for over 20 years, having worked in 4 different salons with 20+ stylists in each, and seen quite a few come and go. Plus I’ve worked as an educator, and that took me into a wide range of salons where I met a wider range of stylists. So that’s how I qualify this group that I’m with right now. They’re aces and the best group of stylists I’ve ever had the good fortune to be around. And lots of them “like” my professional Facebook page where I occasionally boost a post with a link to my website, and they’re all going to see, according to my website, that I proclaim myself “The best hairdresser in Houston TX”. See where I’m going here? Uncomfortable. I think I’m very good and I’m very confident in my skills, but to say I’m the best? I just don’t like it. Hairdressing is not a competition, (though if you want to enter competitions they have those in hair shows, but none of us live full time in that world, it’s just fun for some to showcase an exaggeration of skills) There’s no need for anyone to be the best, and like a wise hairdresser once said when someone was upset about losing a client–“There’s plenty of hair to do in Houston!” I’ve learned through the years that, with everyone’s unique personalities and all our different relationships, be it a co-workers, roommates, friends, significant others, etc, so many variables go into what makes up the chemistry between individuals. And this holds true for the relationship with your hairdresser. In addition to you finding someone who has the skill set to suit your needs, it’s also important that you connect with a hairdresser who’s personality and operating style are a match for you. There are some very bossy hairdressers and their clients do whatever they’re told, some are forever late and their clients know to call ahead to see how they’re running. Some like to gossip and tell stories and others don’t say a word. Some like a lot of flash and trendy styles, others are still doing perms and the perfect bullet proof hairdo your grandma wore, and they all attract the clientele that is right for them. So that’s really where I’m coming from, “best hairdresser Houston TX”, should really be “best hairdresser for my clients that think I’m awesome Houston, TX”. So as you’re looking through my website, if you’re liking the vibe you’re getting from me, maybe we’d be a match made in hairdresser heaven. 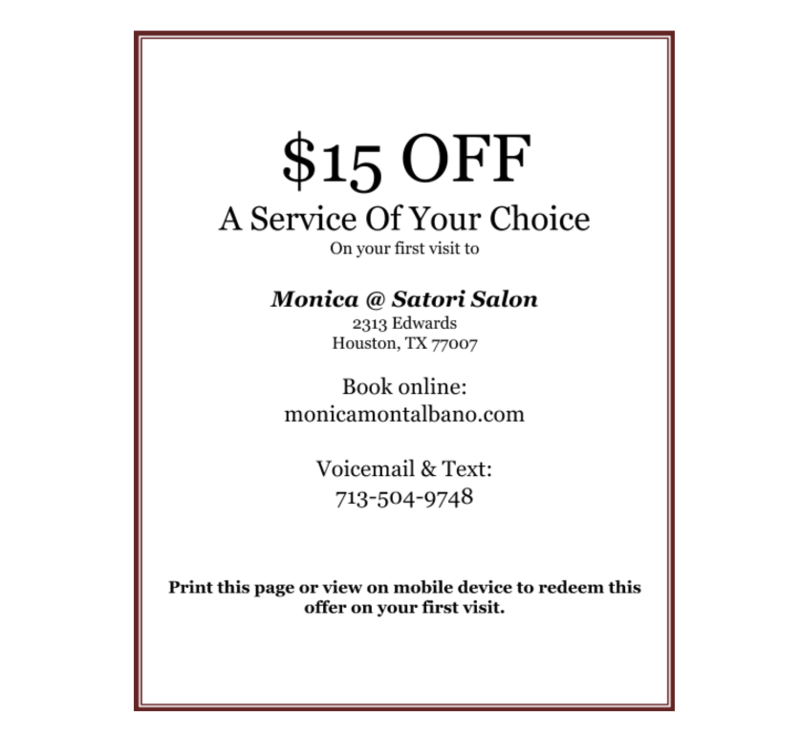 Maybe I’m YOUR best hairdresser in Houston TX. From brunette to blonde and vice versa. You’re my favorite hairdresser! I like your blog! Well said and honestly spoken! I should have made the big trek into Houston to see you years ago! Best Hairdresser, Houston, TX imho!